For the past few weeks my husband and I have been working on our summer vacation travel plans and one place on our list for this summer is to visit the beautiful island of Jamaica. Have any of you ever been to Jamaica and if so, how did you like it? We have 3 of our 4 vacations already planned so we have been looking around online for cheap tickets to Jamaica and I think we found the perfect deal that fits well within our travel budget. I thought it would be kind of expensive to plan a trip to Jamaica last minute but we found some great last-minute vacation deals. 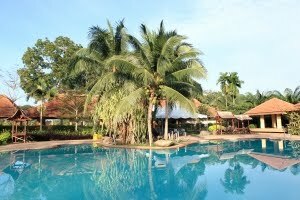 We plan on going for 7 days and 6 nights and we hope to stay at this luxury all-inclusive resort that we found online. I love staying at all-inclusive resorts because it is so much more affordable than trying to plan for hotel lodging, meals, activities and other odds & ends. I like knowing exactly what we will be paying upfront. Do you like all-inclusive resorts? If so, what do you like about them? If not, what don't you like about them? This trip to Jamaica won't be until July as we are heading to the Jersey Shore next week for a lovely 10 day vacation. Once we get back we will have a couple of weeks to rest up before we hit the "air" again for our next vacation. Now that we are older and empty nesters, we really look forward to doing a lot of traveling during the summer travel season. With that said, we always have to look for insanely cheap flights so that we can afford to take multiple summer vacations every year. Do you have any vacations planned for this summer season? If so, where will you and your family be heading to? I would love to hear all about your vacation plans so please feel free to leave me a few comments below. Thanks!